The 50th Contemporary Music Festival at Indiana State University kicks off with a special performance featuring State faculty artists and special guest mezzo-soprano Clara Osowski at 7:30 p.m. Tuesday, Oct. 25 in the University Hall theater. In celebration of the 50th Festival, this year's concert offerings begin a day earlier than usual, and will feature the vocal music of composer Libby Larsen, one of the two featured composers at this year's festival. Osowski and Larsen have been long-time collaborators, both currently living in Minneapolis. Larsen is one of America's most performed living composers with a catalogue of more than 500 works spanning virtually every genre from intimate vocal and chamber music to massive orchestral works and more than 15 operas. Grammy award-winning and widely recorded, she is constantly sought after for commissions and premieres by major artists, ensembles and orchestras around the world and has established a permanent place for her works in the concert repertory. Osowski will perform three cycles of Larsen's songs, highlighting themes of both love and loss. The concert will also feature a performance of James Beckel's Dialogues for chamber ensemble performed by Indiana State faculty artists. Beckel is a resident of Indianapolis and the principal trombonist of the Indianapolis Symphony and is the other featured composer at this year's festival. 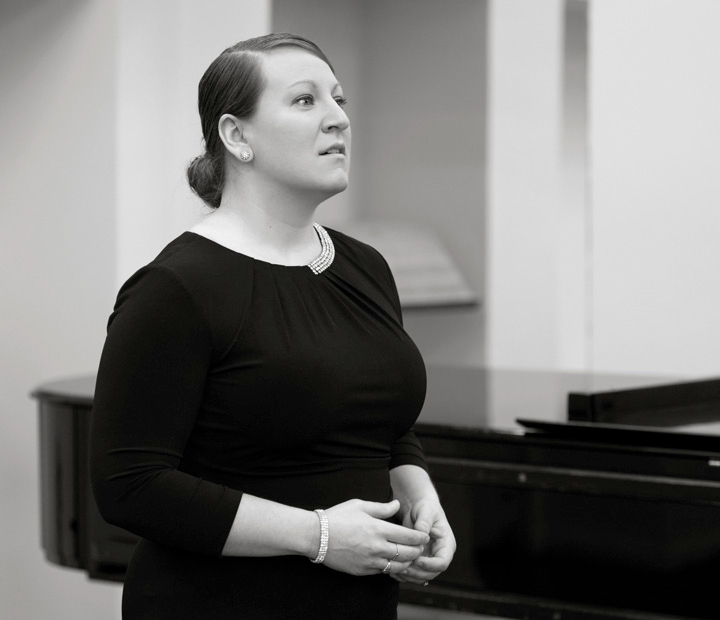 Hailed by the Urban Dial Milwaukee for her artistry and "rich and radiant" voice, Osowski is an active soloist and chamber musician throughout the United States and Europe, a 2012 Metropolitan Opera National Council Upper-Midwest Regional Finalist, the winner of the 2014 Bel Canto Chorus Regional Artists Competition in Milwaukee and recently the runner-up in the 2016 Schubert Club Bruce P. Carlson Scholarship Competition.